Hale sent an email around saying that he’d donate money for anyone who agreed to follow suit. When the number of people involved neared 100, Hale said he would double that amount, making it $2,000 a head. When it neared 300, Hale’s mother got involved, agreeing to match the initial pitch and bringing the stakes to $3,000 a head. When close to 400 employees were ready to be sheared, Hale set the bounty at $5,000 a head. In no time at all, the total was at over $2 million. 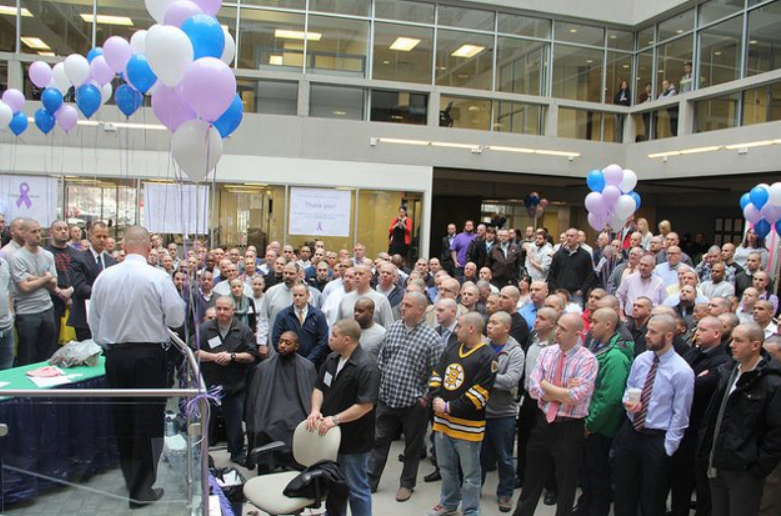 Nearly two-thirds of the male employees at Granite Communications were part of the cutting ceremony Monday, as well as 20 women who either went bald or put their coifs toward Locks for Love. 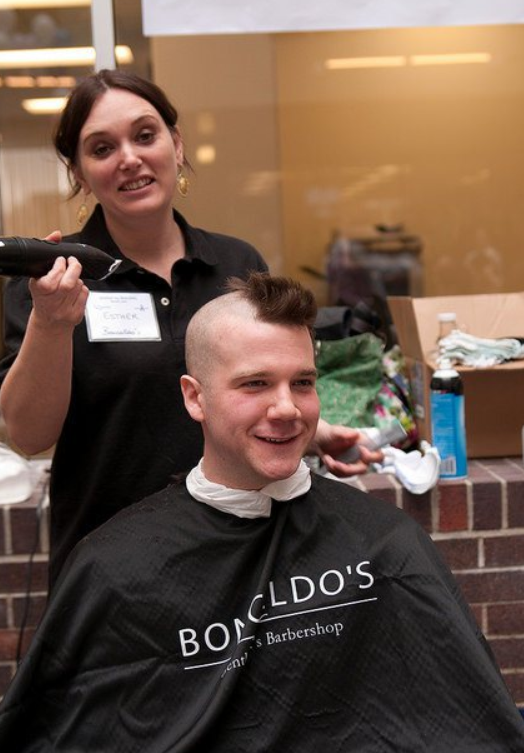 Eighteen local barbers donated their time, lining up chairs in the lobby of the office and trimming away as music played in the background. There were also gift bags for everybody and a mural to be signed. That includes Hale, who lost his father to pancreatic cancer six years ago. All the money raised will be donated to the Dana-Farber Cancer Institute, a hospital which helped Hale’s father survive more than 18 months after his diagnosis. All in all, the Granite Communications team did something immense that will be felt far behind the walls of their building. “It was a really an electric couple of hours,” Hale remarks. For once, it appears everybody got the memo. In these days of corporate greed this is a shining example of values and ethics. Thank you for the share. You’re so welcome, and thank you for visiting.